I have been an auto technician since 2000. I specialize in all areas of diagnosis and repair, with U.S., Asian and European vehicles. I love getting right the first time. I like working with him. He is personable, knowledgable & trustworthy! Kind, informative. He took the time to ensure that the correct repairs were needed by running with me through the symptoms that I was observing. Ramiro was great. He was very communicative, friendly, and professional. He really knew his stuff! Great service, very knowledgeable and inspired me trust. Ramiro was fantastic. 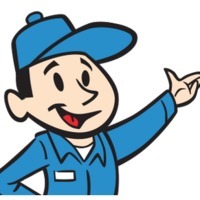 Very communicative, knowledgeable and efficient.This was my first experience with Your Mechanic, and it was so great. I needed my brakes done and the whole process from booking through to this review was unbelievably convenient and affordable. I will for sure be telling my friends and using you guys again. Ramiro arrived at my house and got to work right away. Both he and his assistant were very pleasant. I would hire him again. Ramiro did a great job; however, when he returned my keys, they were covered in what appeared to be maple syrup. Ramiro was very helpful and knowledgeable. Would highly recommend him. Came over, did the job, finished early. Couldn't have asked for more. Ramiro did a fantastic job! Ramiro was very knowledgeable and helpful. He even went so far as to pull out a starter from his truck and explain to me how it worked, as part of an answer to my question about whether he suspected that I had an issue with mine. He performed a thorough investigation, correctly identified my problem as a faulty battery, and showed me exactly how he knew and how I should seek a warranty replacement for it. For someone like myself who knows about nothing about cars, his patience was very appreciated. Ramiro was great and was able to diagnose my problem very quickly. Although he did not fix it due to the fact I needed a new engine. This information has allowed me to make an informed decision about next steps. He's so great and personable. Would absolutely have him come work on my car again! Ramiro was very professional and took the time to explain details on what he was doing during the thermostat replacement. I was even impressed on his cleanup of the antifreeze runoff. After he left you couldn't tell there was a runoff. I wouldn't hesitate to have him work on my Subaru again. Thanks, Randy C.
Ramiro was very thoroughly with the inspection. He explained in detail what was needed and made sure all my questions and concerns were addressed. I didn't feel like he was over selling . Ramiro is very professional. Great job, Thanks! Ramiro was a very polite and efficient employee. We will not hesitate to recommend him to others and to use him again. Thank you so much Ramiro. We appreciated your great knowledge and efficient work. Ramiro got right down to business and did all of the services methodically and without any hassle. He was both professional and personable. I would recommend him and request him again.